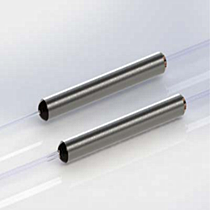 The FOGPhotonics’s mini fused single window wideband fiber 1x2 (2x2) couplers provide accurate optical signal coupling and splitting over wide bandwidth with high performance and high reliability in miniature or sub-miniature packaging. These couplers have excellent uniformity, low excess loss and very low polarization sensitivity and are available with various tap ratios, wavelength ranges, fiber types, and connector options. The small form factor with reduced cladding fiber is essential for compact system integration. All devices are shown to be able to handle high optical power up to 4W and are tested according to industry standard procedures. Reliability is guaranteed through stringent tests to fully meet Telcordia GR-1221 requirements.